China Mobile has created a complete end-to-end IPv6 transition plan, covering its access network, carrying network, supporting systems, devices, and businesses. According to Zhou Jianming, general manager for China Mobile's technology department, the Chinese telecom operator is planning a large-scale IPv6 trial, which has already been launched in nine provinces across China. Zhou told local media that China Mobile aims to promote the mature development of the IPv6 industry in China. 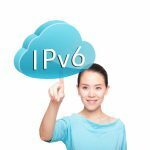 It will first start commercial trial and commercial use of IPv6, then expand the IPv6 user and network scale, and finally realize the transition to IPv6 for everyone. Zhou pointed out that China Mobile's IPv6 development will be mainly divided into three stages: the starting stage will last from now until the end of 2013; the promotion stage will be between 2014 and 2015; and the full application stage will be realized by 2016. The company is also promoting IPv6 functions on TD-SCDMA and TD-LTE wireless devices.